The Instructor Roster Report found on the Instructor Dashboard is basically the same as the normal administrator roster report, but it only shows a single Instructor’s courses. 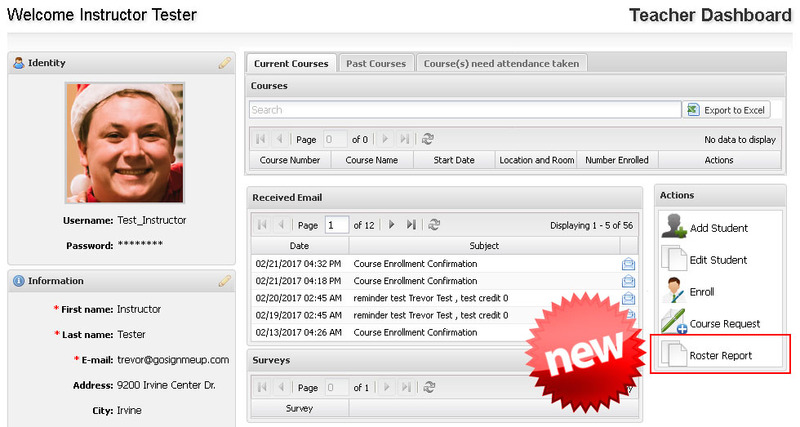 Previously it was difficult for an instructor to see which students are enrolled in a course, but now its only a few clicks away on their Dashboard! The Report also shows information like the students’ email, phone number, and more. Instructors can use this report rather than make a sign-in sheets as an easy way to see and use this information. For more information on the Roster Report, click here.